A very smooth kid shows off his smooth moves to a smooth song in a new spot for Skippy peanut butter, showing how smooth its product can be. 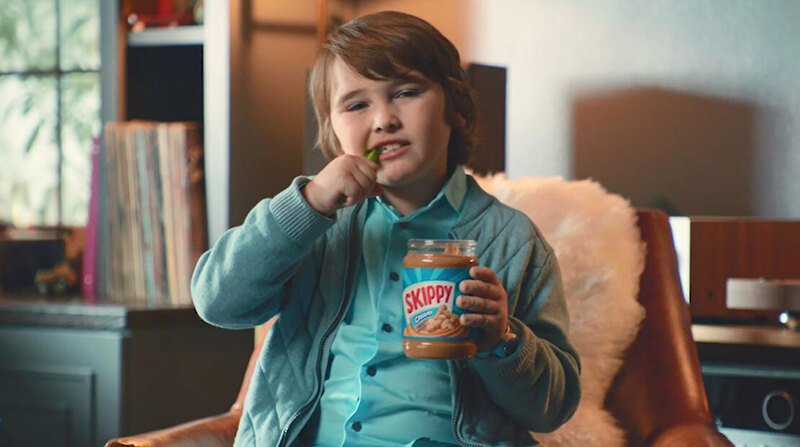 ‘Be Smooth Like Skippy’ is a new national ad campaign and it includes a series of videos with child actor Cooper Friedman performing a variety of smooth tasks, as well as enjoying Skippy peanut butter, done to the soundtrack of Mark Ronson and Bruno Mars’ hit song Uptown Funk. The 30-second anthem spot features Friedman, dressed to groove, telling the audience how to be smooth as he slides from his room to his kitchen, grabbing a piece of toast popping up from the toaster and sliding a jar of Skippy on the counter right to his sister. “You’re always in the right place, and it’s always the right time…they say you are what you eat, be smooth like Skippy,” he says in the voice over. Other spots feature Friedman with a pretzel and one where he slides an apple down a shuffleboard table, highlighting his smooth nature.